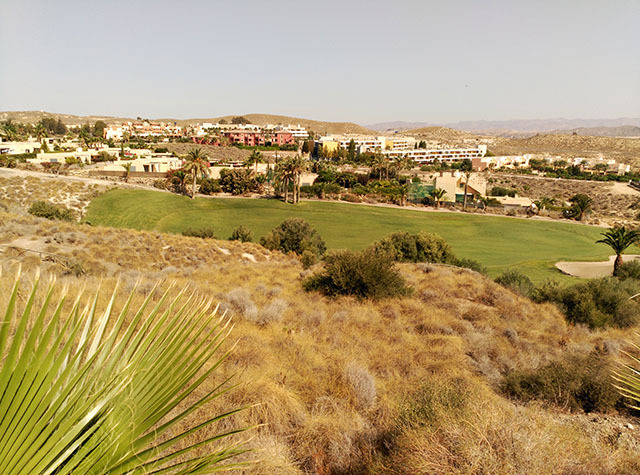 Valle del Este golf & spa resort a very good course to play for all levels. 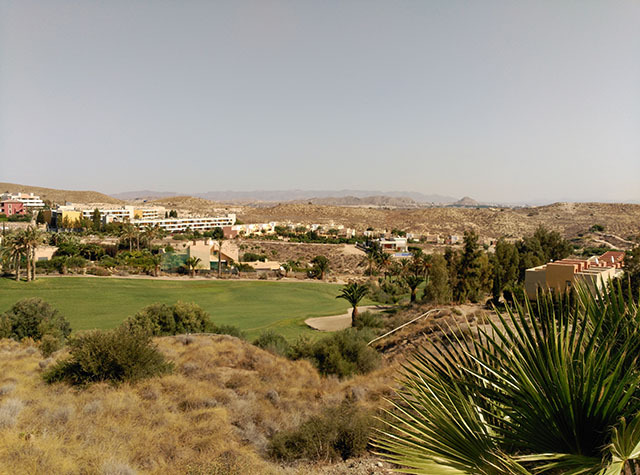 The course is located 12 minutes drive from Mojacar Playa just on the edge of Vera. Opened in 2002 it is a challenging 18 hole course set in rolling hills and steep cliffs. At the center of the course, there is a club house, and a driving range for you to practice on and a putting greens to allow sharpen your aim. 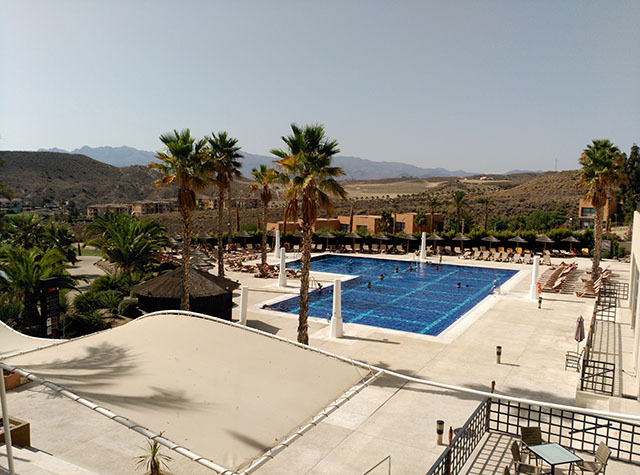 The Valle del Este course in Vera, lies in the centre of a deserted valley surrounded by mountains and with super views of the sea. It was designed along the lines of US-style desert courses in California and Arizona. 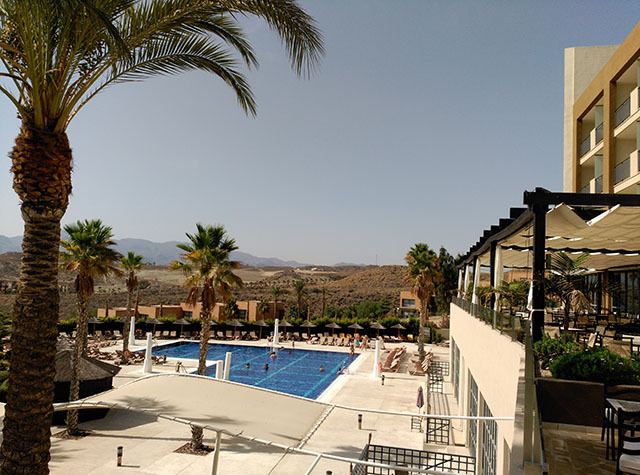 The complex also includes a fully-serviced golf club, and beach club situated on the beautiful Puerto Rey beach on Vera Playa and linked by a private bus service for residents of the complex. Residential facilities are right by the course, meaning that residents and visitors can be on the course in minutes, whether their accommodation is an apartment or a family villa. 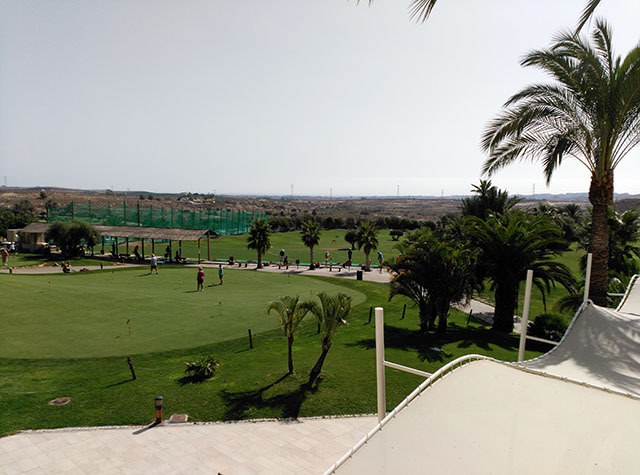 The combination of top-level residential and golf facilities has made the area a first choice for those who want to acquire a property that is close to the sea and that offers the opportunity to play golf all year round.